"Selling doesn’t make the Favorite Words List of most creative people – we tend to have this wacky notion that ideas should somehow sell themselves and that selling is, well, a bit unseemly. But, of course, ideas seldom sell themselves. In fact, the better and bolder the ideas, the more they need selling. Because they’re different. Challenging. Risky. They insist people let go of their old ideas to grab the new idea. Selling helps that happen. Below are five solid reasons to add muscle to your selling skills. 1. Knowing how to sell boosts confidence. Strong selling and presentation skills make you more self-assured, whether explaining ideas to co-workers, discussing ideas with your boss or presenting ideas to clients. An ability to effectively convey your ideas lets you enter any room with poise and confidence. For even more of Sam Harrison’s expert advice on the business side of creativity, pick up a copy of his ebook IdeaSelling. 2. Selling skills help you gain a seat at the table. We want to be difference makers rather than order takers. And that happens when you persuasively present your opinions and ideas. People take notice. They want to hear from you. They solicit your advice. And when it’s presentation time with clients, you’re one they want front and center. 3. Selling ideas recharges creativity. “We’ve given up on having big, bold ideas because nobody around here is willing to accept them.” I often hear statements like this one when conducting workshops with creative teams. They’re saying it’s difficult to keep creativity soaring when ideas are being slammed at every turn. There’s no doubt a direct correlation between selling success and idea output. High idea-rejection rates ultimately result in low creativity levels. But when ideas get approvals because they’re expertly sold, creativity continues to explode. 4. Selling makes you be a better team player. You want to be a team contributor and leader, not a team spectator, right? But that can’t happen if nobody’s listening. When ideas and opinions are ignored, there’s a tendency to withdraw and go silent. But knowing how to communicate ideas is a game-changer. People pay attention. You become a valuable member of the team, frequently leading the charge. You move out of the stands and onto the field. 5. Your ideas deserve to be sold. Your ideas are meaningful. Valuable. Unique. They are different from anybody else’s. They’re worthy of being seen and heard, embraced and accepted. And you have an obligation to sell them. Make selling a welcomed word in your world. Become a great sales person for your great ideas." Maurizio MARCONATO born in 1961 e Terry ZAPPA in 1963, both in Como. Both live and work in Cantù. Their studio “Marconato & Zappa Architetti Associati” was founded in 1991. Since 1981 they have been active professional DESIGNERS, creating innovative products for numerous firm of the furniture industry. Each product being carefully cared for throughout the various phases of product design, engineering and marketing. It has also been their competence to coordinate the art direction and stand projects for trade fairs and exhibitions. As INTERIOR DESIGNERS Marconato & Zappa have projected for homes, hotels, exhibitions and shops in the public and private sectors, both in Italy and abroad. Their professional activities as ARCHITECTS include the refurbishing and restructuring of period and modern buildings. Comprex is first and foremost a child of its territory, which is both Italian and Veneto. A fascinating place where creativity is the source of an inimitable style that always combines the initiative and pursuit of perfection. It is here that in the early '80s, a project inspired by the elegance essential design takes shape, offering a new concept of living. The results of the insights of early Comprex are highly appreciated by its customers, because they recognize the brand behind the people who fill it with meaning. The team Comprex since then has been able to leverage its sensitivity and desire to listen, to catch the weak signals of social change and sometimes unspoken desires. A constant work and keen to interpret the language of design with the need to live deep and intimate. Silica is a program delivered by the end elegance of a door thickness of only 13 mm. that welcomes the glass applied to aluminum. A feeling of light that is never the same but always of equal charm. It is available in 9 different colors with opaque glass or polished. The sleek dimension of Filo, a slight line harmonizes with its function. The steep gorge that slides along its same figure, follows the entire perimeter of the kitchen and you will discover also handle profile and refined detail. Its clean surfaces, enhanced by subtraction, enhance the particular material and design.So the satin finish, the game sprays and marbled surfaces, describe a project capable of surprise, but also to gratify. The many color choices and the many other finishes including lacquered rubber, painted and lacquered precious metals, are a collection of versatile and innovative wire. This thread is to become one of the most sophisticated outcomes of labor between designers Marconato & Zappa and the Research and Development of Comprex. A viable and fertile collaboration commissioned by Comprex, which thanks to the fruitful dialogue with the Molteni Paints, has ensured continuity of thought and research to his work. Thus giving its customers a product open to any aesthetic and functional solution. Essential and “non-structure” design combining colours and materials in a free style. The Young Lifestyle is dedicated to those who have a dynamic life and have let change become the only constant in their lives. Proposals rich of contaminations and never dull, attentive to the latest global trends without succumbing to excesses. The perfect balance between contemporary style and functionality. With this range Comprex expresses the essence of the kitchen in contemporary style: design and functionality. The return to a more traditional thickness (18 mm) gives the kitchen cabinet a look increasingly tied to the living. Forma is dedicated to those who love the kitchen as a place in the home where to entertain & socialize. The special attention that Comprex dedicated to the development of versatile and contemporary design solutions has its best expression in this range. Forma is ideal for those seeking absolute formal rigor, attractive design, materials sober and refined colours without sacrificing the quality of its production. Clean design, minimalism of shapes and maximum creativity. Like a perfectly tuned piano able to make every interpretation perfect. Sophisticated and stylish, the Glam Lifestyle is dedicated to those who choose the "design first". Every piece of furniture has reinvented the space with an almost architectural significance to the elimination of unnecessary and exaltation of form. Clean lines, sophisticated finishes, elegant design. The real luxury is the search for uniqueness. An expression of essential, yet sophisticated, design. Recessed handles, in the same colour as the door, add character to a kitchen offering infinite layout options. 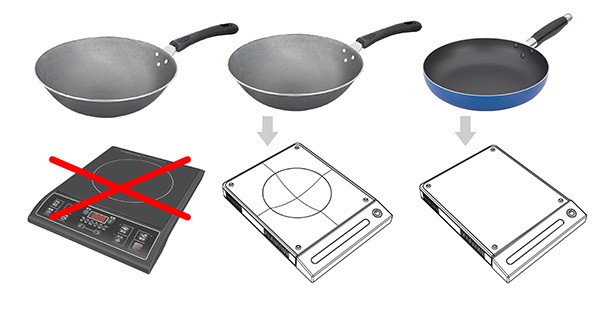 One of the major drawbacks with an induction cooker is that you can’t use it with a wok or round-based pots. Designer Chen Ruike has conceptualized an innovative solution. One where the Induction Cooker has a two-sided rotating cooking surface! One side accommodates flat-based utensils and the other side – rounded pots. The two cooking panels share one heating coil. This ensures optimized product function and reduced production costs. Only the chosen cooking panel is activated during operation. Internal heat is expelled through the extraction channels on the sides. Four non-slip pads on each cooking panel avoid friction with the surface beneath. 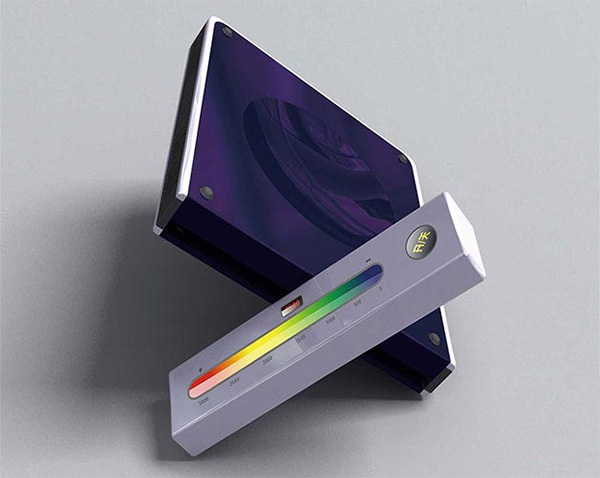 The cooking temperature is controlled by a colorful touch pad. 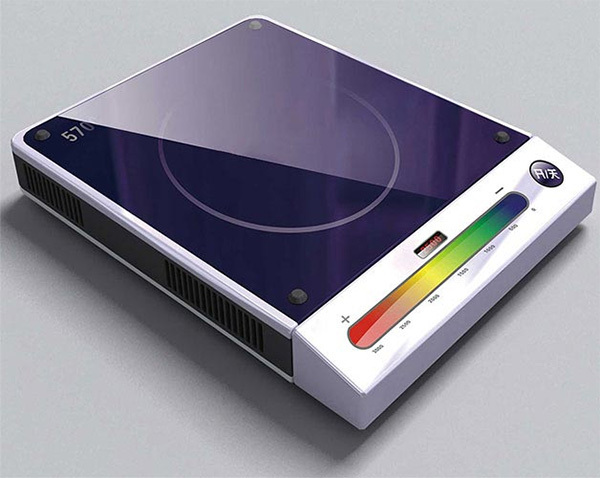 Induction Cooker is a 2013 red dot award: design concept winner. When a kitchen is open to the living areas, the cabinetry and island are often made to look like furniture, to help blend the spaces together. But the design can go a step further, introducing elements chosen because the homeowners love each piece and want to enjoy them every day. For this kitchen in a traditional home, the owners asked designer Natalie Du Bois for a welcoming, quirky, industrial aesthetic with natural accents. The look was to be simple, with plenty of display space, says Du Bois. "This kitchen has more work areas than the original, due in part to the addition of a new butler's pantry, which is almost the same size as the kitchen itself. This ‘second kitchen' offers lots of storage, a butler's sink and dishwasher." Most of the messier aspects of kitchen life, such as breakfast clutter, are relegated to this ancillary room, freeing up the main area for cooking and entertaining. 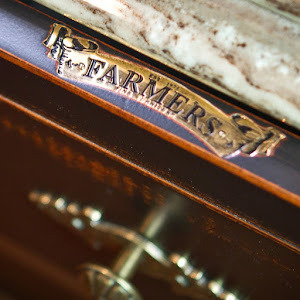 "Another major advantage of such a large butler's pantry is that both the owners and their two children can all use the kitchen at the same time without getting under each other's feet. "Although most pieces here were chosen because the clients liked them individually, each element does connect with another," says Du Bois. "For example, the concrete island bench, freestanding stainless steel refrigerator and perimeter benchtops, along with the black tapware and black prep sink all contribute to an industrial feel, while the butler's sink in the pantry and subway tiles on the splashback are more traditional in flavour. "The subtle palette of grey, black, white and metal further draws the kitchen together." The designer's choice of wood for the island and perimeter cabinets evokes a furniture-like aesthetic when viewed from the living area, and also brings the desired warmth to the kitchen. "In addition, we painted the timber floors white, which contrasts the darker elements, such as the cabinetry and appliances – this gives the entire kitchen a more dramatic presence." The stepped splashback and a shelf above provide ample space for displaying objects, as does shelving on the front of the island. 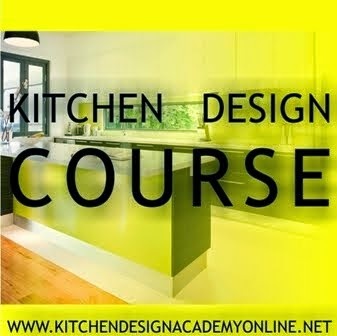 "Another aspect of this kitchen is that it will resist becoming out of date," says Du Bois. "This is because so many of the elements, modern or otherwise, are design classics, including the butler's sink and black taps." AUSTRALIANS are at risk of exposure to a cancer-linked chemical that may be found in textiles and imported furniture. That’s according to the Australian Furniture Association (AFA) who is calling on the ACCC to investigate the use of azo dyes in furniture imported to Australia. AFA CEO Patrizia Torelli said there is a risk the dyes cited in the recent recall of clothing and bed linen are being used in textiles and leather in imported furniture. “We take the potential exposure of families to unacceptable levels of these harmful chemicals, very seriously,” she said. Sofas, lounge suites, ottomans, day beds and blankets are among the items that could pose a risk through direct and prolonged contact with human skin, according to the industry body. It also believes Australian consumers could have been exposed to chemicals like formaldehyde from bonded leather in imported furniture. However the ACCC has rejected calls to expand their investigation, saying the items of main concern are those that come into direct and prolonged contact with skin, such as underwear, socks and tops, exercise wear or sleepwear and bedding. “Consequently furniture, whether imported or locally made, is not within the scope of the ACCC’s current assessment which is focussed on the presence of hazardous azo dyes in clothing and textile articles such as linen,” the organisation said. 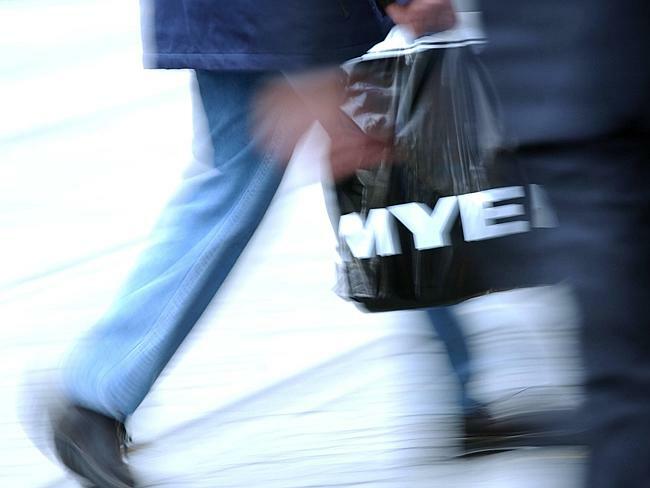 It comes just a month after major Australian retailers including Myer, Target and Just Jeans were forced to recall more than 120,000 items of clothing and bedding tainted with the carconigen. The synthetic dye is banned in Europe and under restricted use in the US. It’s considered a dangerous poison in the same category as cyanide, strychnine and arsenic in Australia. David Hodgett to investigate preventative measures following the recent recall. Ms Torelli said it’s of particular concern where small children are involved. The AFA is calling on furniture importers and consumers to notify the ACCC if they become aware of issues associated with their products.